Please Help! Underground Biome Constructs (mod) blocks don't work in The Simple Life 2 mod pack. But works fine on its own..? Playing on a private server with 2 others and for some reason only I can not get the mod Underground Biome Constructs to render/show. It works perfectly fine for the others. We are using Twitch to run the The Simple Life 2 version 14 mod pack. 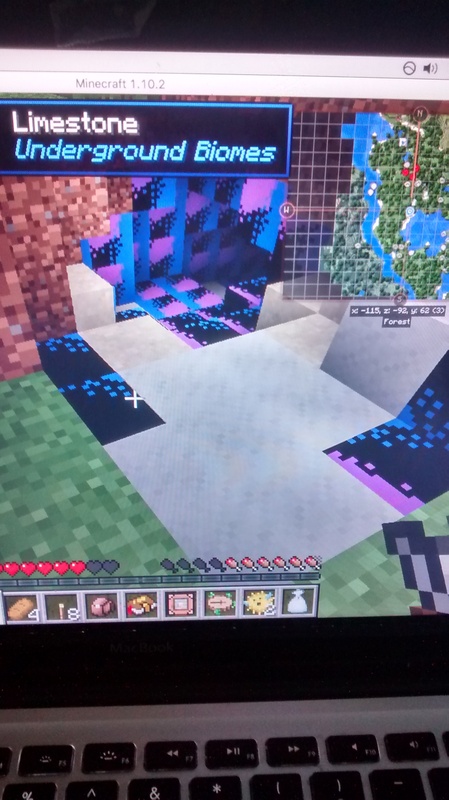 The other mods appear to work fine, but any of the Underground Biome type blocks have shown up as either invisible, unshaded black blocks or weird black with blue or fuchsia in it. To investigate I tried that block mod on it's own on a single player world to see if it just didn't work on my Mac, but it actually worked just fine. So i'm very puzzled and unfamiliar with where to go with resolving it. It also appears as blank spaces when searched for in the inventory in the item and block viewer/ search (JEI). 4) Running the mod pack on the Vanilla launcher with the correct Forge version for Mod pack. 5)running problem mod by its self in a new single player world on a clean vanilla launcher (works in this case) But if its with the rest of the "minecraft folder" for TSL 2 you get when you download it on twitch it shows up as black or invisible. Apparently another mod "Woot" does the invisible thing too. So i'm thinking its not a bad interaction with a file in the mods file, but something in another folder in the pack?